You know it's fall again. Aside from the changing leaves and cool, crisp air, squash is going on sale frequently again. (We picked up some butternut this time. This recipe should work with just about any winter squash.) With my recent purchase in mind, I saw this recipe on Budget Bytes, and I knew I had to give it a try. The brown sugar makes a nice glaze once it's cooked, and it also holds some seasonings. 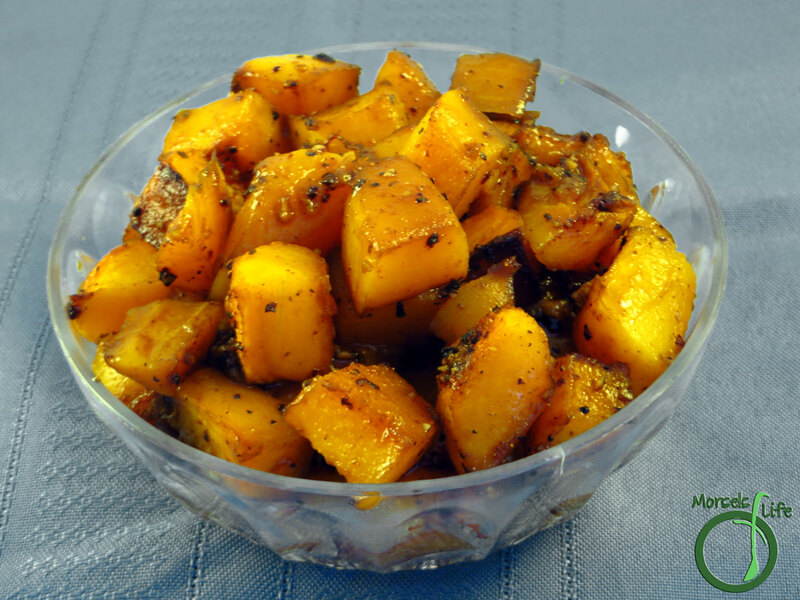 Sweet and spicy, we quickly gobbled this spiced roasted butternut squash. You've really got to try this recipe - so easy, yet so tasty! You can't go wrong. 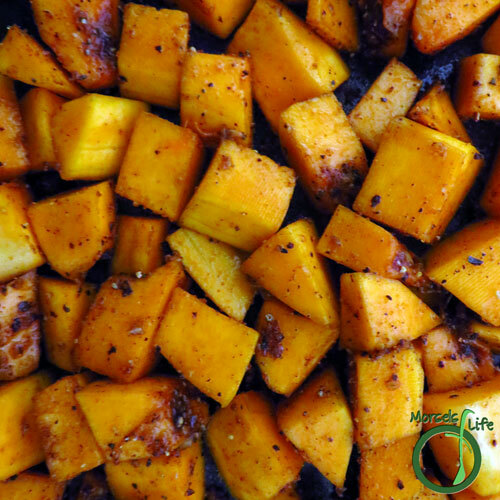 What's your favorite winter squash? 2. 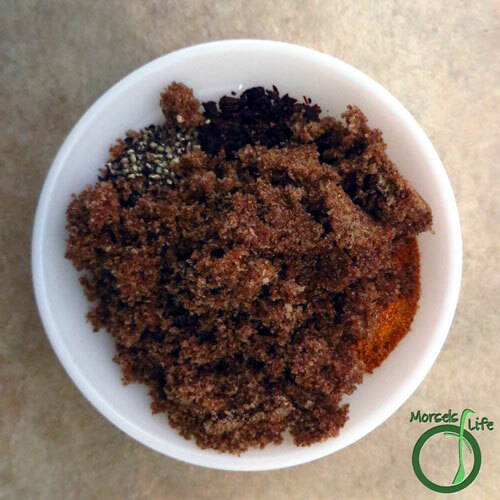 Combine brown sugar, chili pepper flakes, garlic, paprika, and pepper. 3. Spray butternut squash with a bit of oil and shake with mixture from Step 2. Bake at 400F until done, approximately 30 minutes. oooh! That looks awesome! Butternut squash are my favorite squash! I find them the most fragrant, colorful, and full of taste. Thank you for the step by step photos and I love your table for everything you need. Everyone should write recipes like that! I'm glad you like my recipe format! I thought about how to make the information easy to understand and always appreciate feedback. 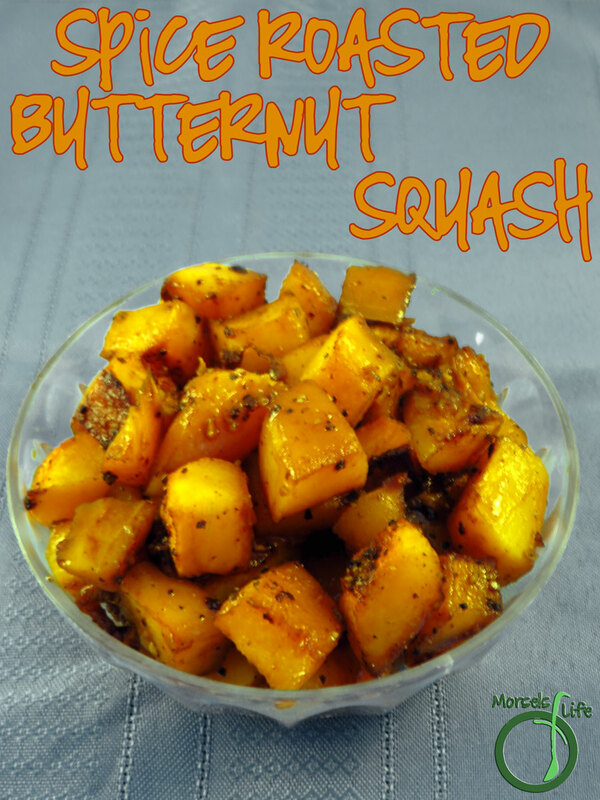 :) Butternut squash are such a wonderfully versatile winter squash too! :D Always a happy day when I hear people enjoy these recipes! 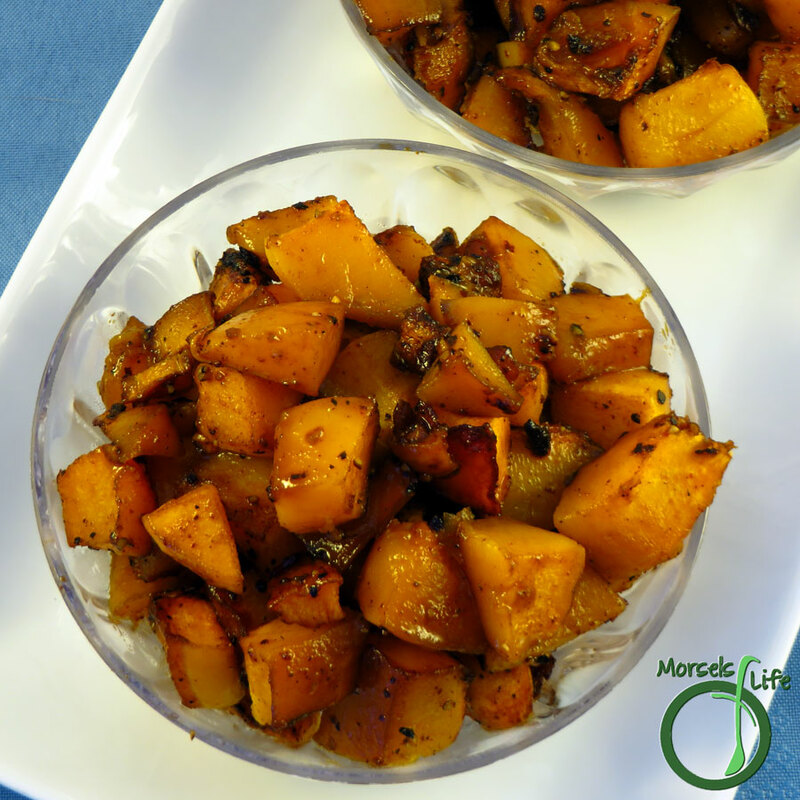 :) Hope you enjoy this spice roasted squash - let me know what you think once you've given it a try! I'm going to try this too! We're trying to eat more squash, especially since it's so reasonably priced in the fall and winter. Thanks for sharing this at Turn It Up Tuesday! Let me know what you think. :) We make this a lot during the colder months as well - less expensive and seasonal! Hope you enjoy it! 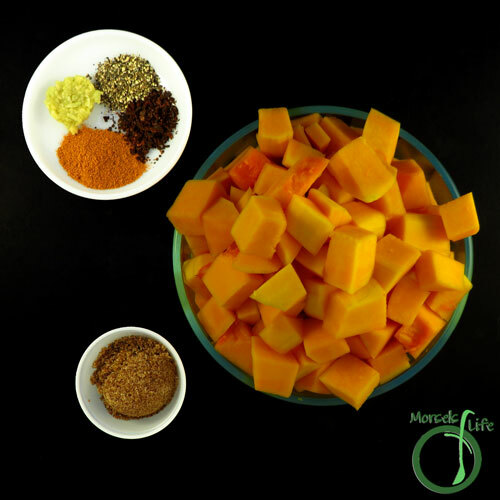 I don't think I've ever met a winter squash that I didn't love, this sounds like a delicious preparation with the sweet brown sugar and the spicy chili! Thanks for sharing at What'd You Do This Weekend?! This sounds great! I am a big fan of any kind of squash and butternut is one of my favorites. Thanks for sharing at Inspiration Thursday!